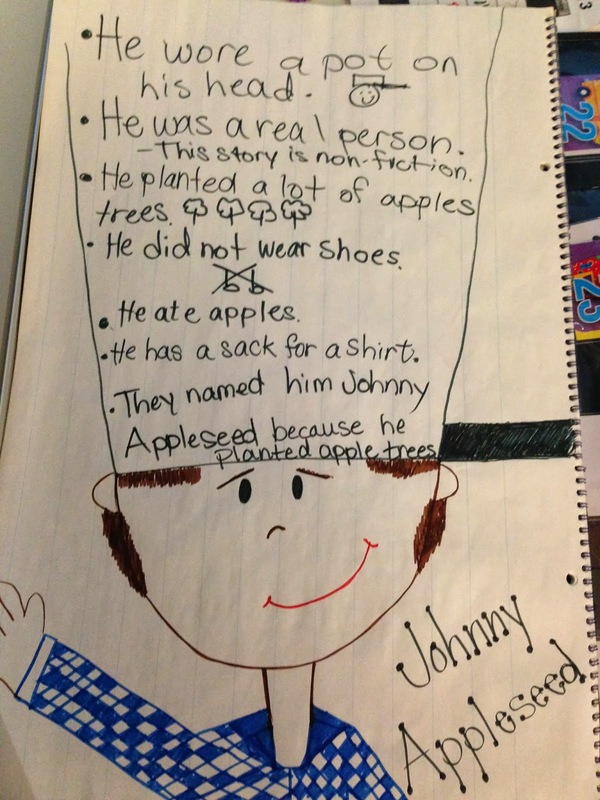 Today we learned about Johnny Appleseed. 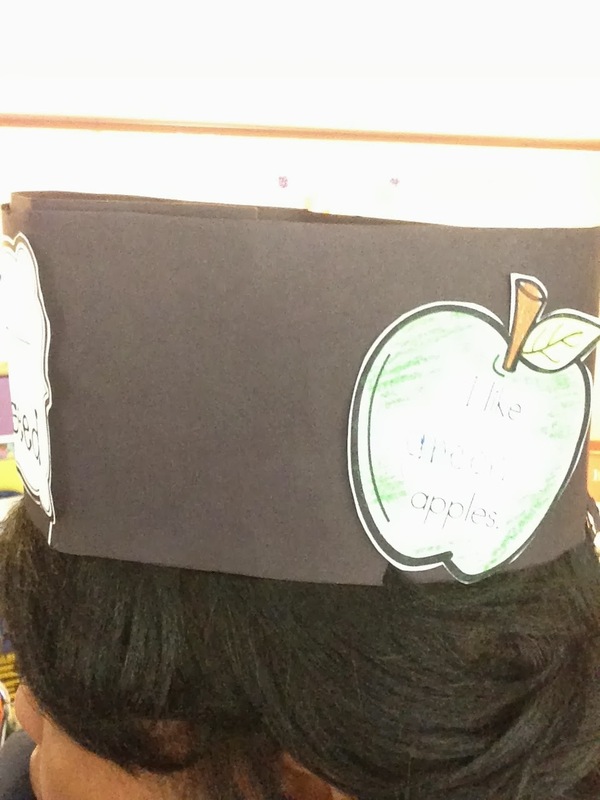 We started out apple unit last week to prepare us for Wednesday's field trip to an apple orchard. I went to my very first apple orchard last year and had a blast!! I can't wait to go this year where I can pick apples...directly from the trees!! We read the story Johnny Appleseed and talked about why we thought Johnny wore a pot on his, why he walked around with out shoes, and why might he have been a vegetarian. Here's how we documented our learning. I found a similar anchor chart on Pinterest and I thought it was so adorable! The kids thought his extra large pot was hilarious. Then, I pulled out the big guns. I told them they were going to make their own pot hat! 1. 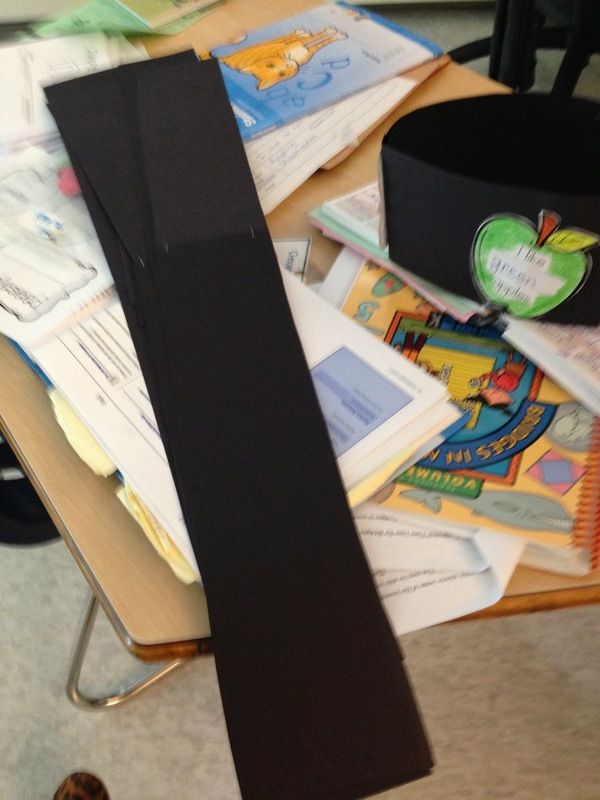 I pre cut some large strips of construction paper, this would become the pot. 2. 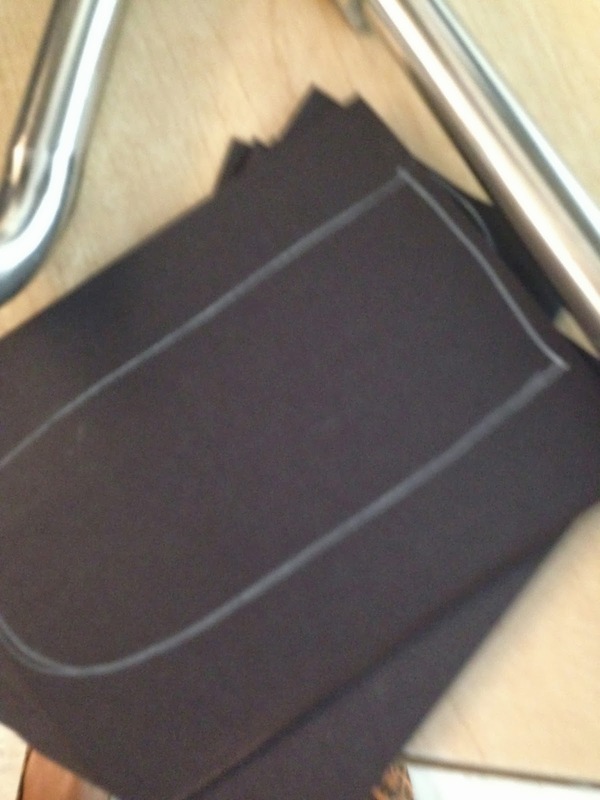 I traced out pan handles. 3. 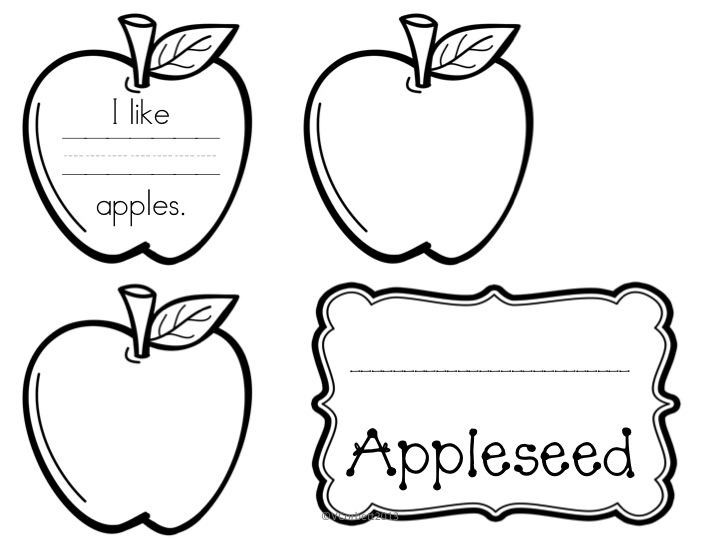 I created a quick little diddy for the kids to write their favorite kind of apple and a label to change their name to ____ Appleseed. 4. Here is the final product. 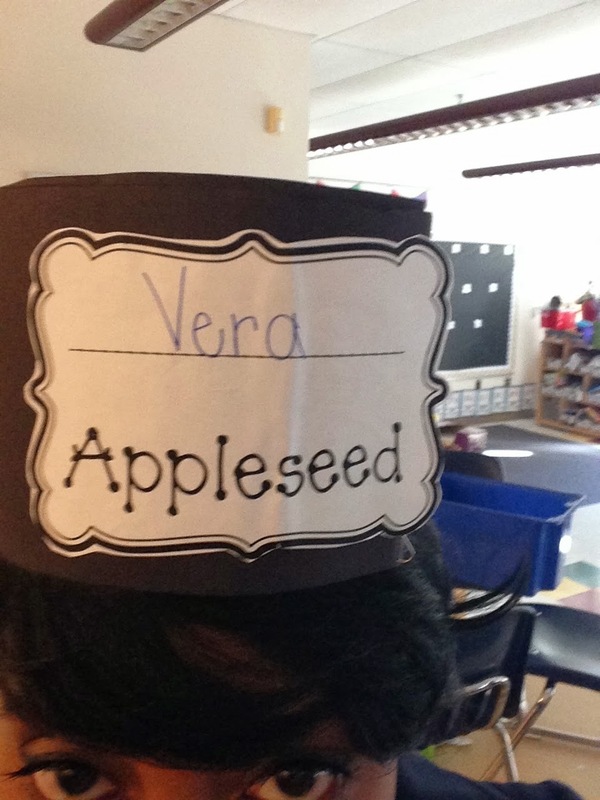 Once I put on my pot hat I told the kids they could only call me, "Vera Appleseed". They didn't. 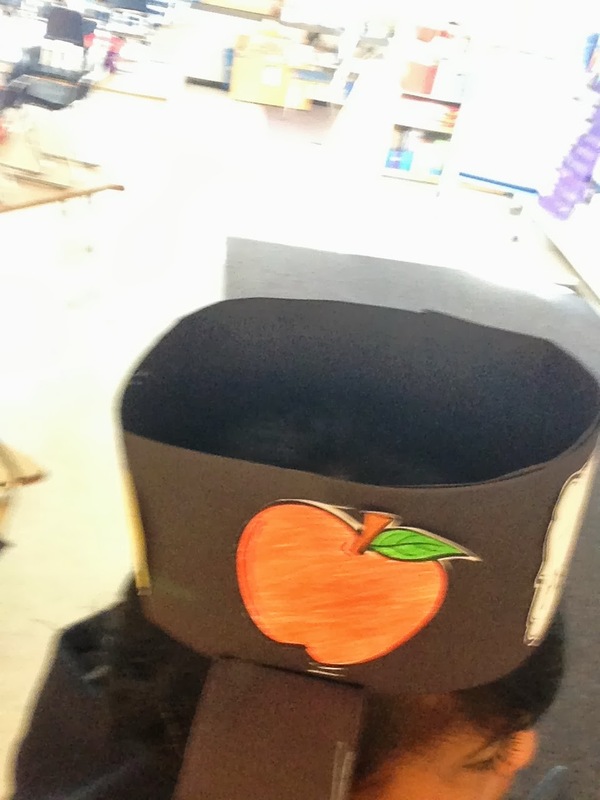 Here's a link to make your very own Johnny Appleseed pot hat. And you can find more Apple resources in my TpT Store! Very cute! Thanks for the freebie.